With Square’s online payroll services, you’re able to set your payroll to run automatically so your employees are paid on time every pay period without you having to log into your Payroll dashboard. At 5 a.m. PT on the day payroll is due, one business day after the end of the pay period, we’ll automatically process your payroll. If you have hourly employees, we’ll automatically import their timecards as well. You’ll get a confirmation email that contains all the relevant details about the pay run, including the number of employees paid and total gross pay. 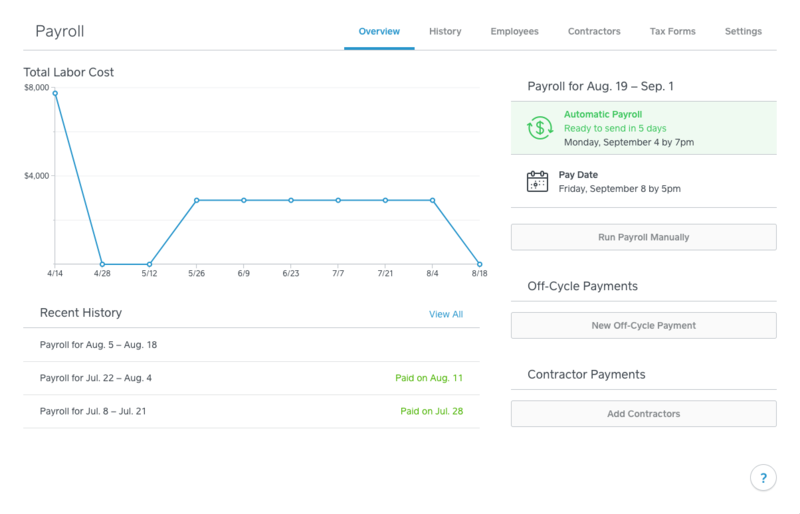 You can review the payroll from your Dashboard at any time. If anything seems off, you’ll have until 7 p.m. PT of the same day to cancel the pay run and make the necessary changes. Remember that when you cancel an automatic pay run, you’ll need to manually process payroll. Afterwards, Automatic Payroll will resume for your next pay period. At 7 p.m. PT, payroll will be finalized. 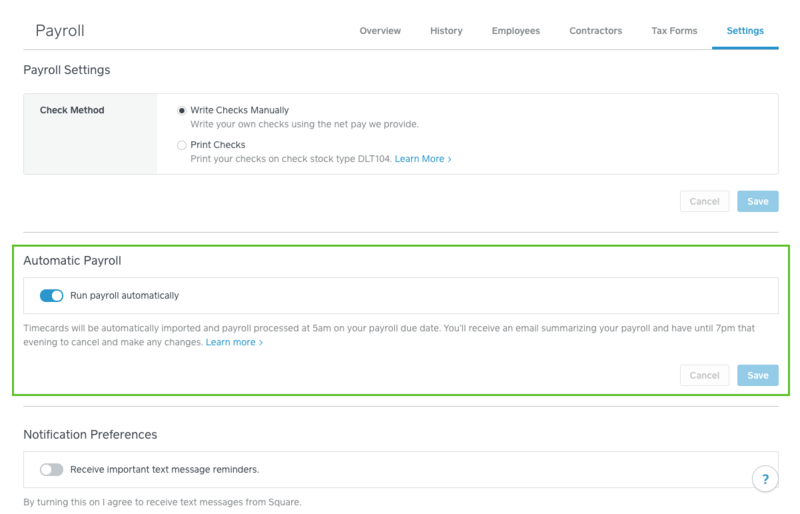 Sign in to the Settings tab of your online Square Payroll dashboard. You can disable this feature at any time from this screen by toggling Automatic Payroll OFF. Note: You’ll need to manually process payroll at least once before Automatic Payroll can be enabled. Sign in to the Payroll section of your online Square Dashboard. When you cancel an automatic pay run, you’ll need to manually process payroll. Afterwards, Automatic Payroll will resume for your next pay period.